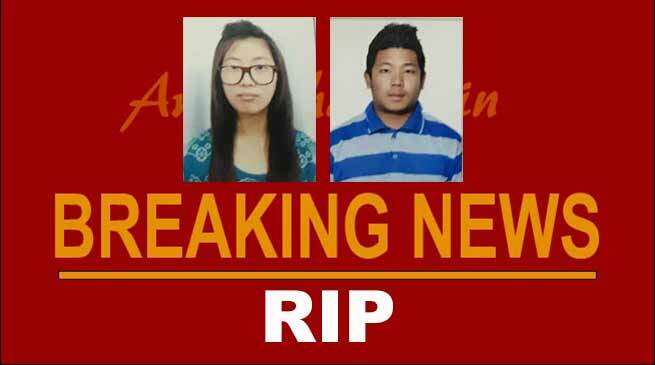 Two Arunachli students died in a road accident in Dehradun. college students, belongs to Arunachal Pradesh were killed after the scooter they were riding was hit by a private bus at Dehradun on Sunday evening. The deceased, identified as Chinar Basar, 22, and Gyati Sumti, 21, were students of Uttarakhand College of Bio Medical Science. Chinar hails from Itanagar while Gyati belongs to Ziro. Chinar and Gyati on their way towards ISBT on Bypass road when the accident took place. Their scooter was reportedly hit by a private bus bearing the registration number UP11 T 7356 while attempting to overtake another vehicle on the road. One of their college friend told police that a group of 150 students, all from Arunachal Pradesh, had gone to attend Si-Donyi festival, a local festival of Arunachal Pradesh, in Lacchiwala, about 20 km from the city, and the duo was on their way back when the accident took place. Meanwhile, talking to Arunachal24, Robin Hibum IGP, Delhi Police, and the chief of NGO, Helping Hand informed that the Driver of the bus who run these two students on Scooty has been arrested. On Hibu’s special request, SP Dehradun has agreed to handover the dead bodies to any Arunachali if their parent can’t come to receive the dead bodies, informed Mr Robin. SP Ziro and SP Along has to send text message to SP Dehradun authorising the persons to receive the dead bodies from the police on the behalf of the families of these two dead students. My deepest condolences to his family, may his soul rest in peace. He is my school friend and it is sad moment for me to hear this news..